1978 has turned out to be a very good wine vintage especially in Pauillac and St Julien. Weather conditions were challenging with a very late spring followed by a torrid and erratic summer. The vintage was saved by perfect early autumn weather and as a consequence some very good to excellent wines were produced. It would be wise to select the better Châteaux in this vintage purely because some of the lesser estates are over the hill. The best will continue to drink until 2010-2012. 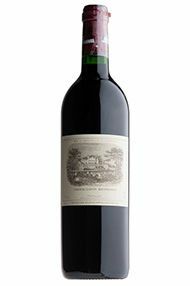 Lafite Rothschild is the wine of the vintage. Deep garnet red in colour and incredibly fragrant and fresh, and classy on the nose. Medium to full-bodied on the palate and surprisingly rich with notes of black fruits, mineral and hints of tobacco. Very good grip and a very complete and harmonious wine. Drinking well now and for the next decade or so.